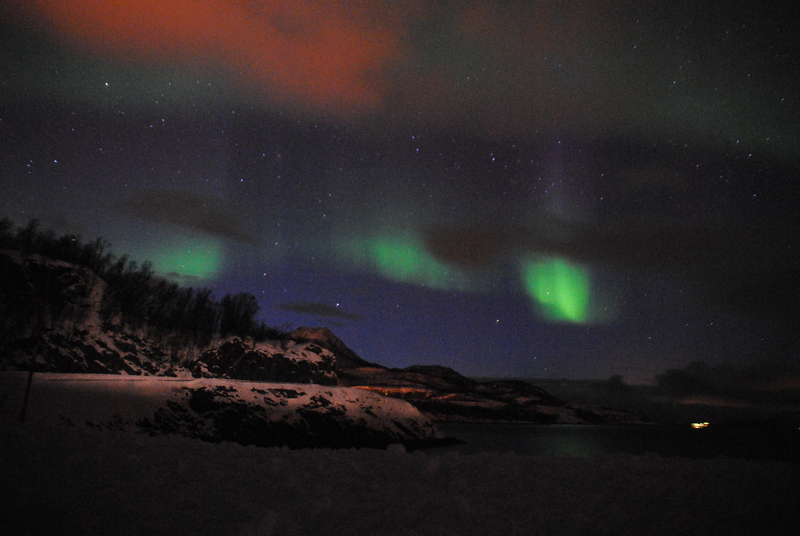 Being in Alta, known as the “City of the Northern Lights”, I of course had to go chasing it! 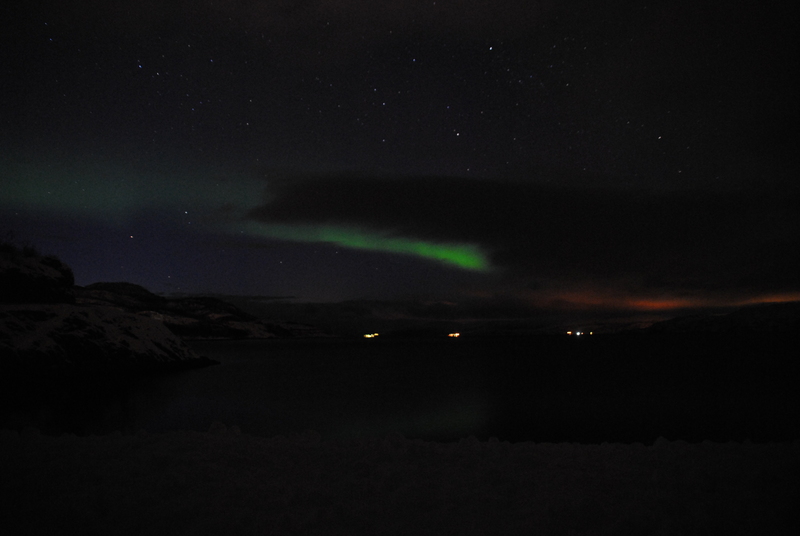 As dark surroundings and nice weather is important to be able to see it, I signed up for the trip “Hunting the Northern Lights” by the company Glød to find the best spot. The tour started with some information about what we would experience and a film about the actual phenomenon Aurora Borealis. 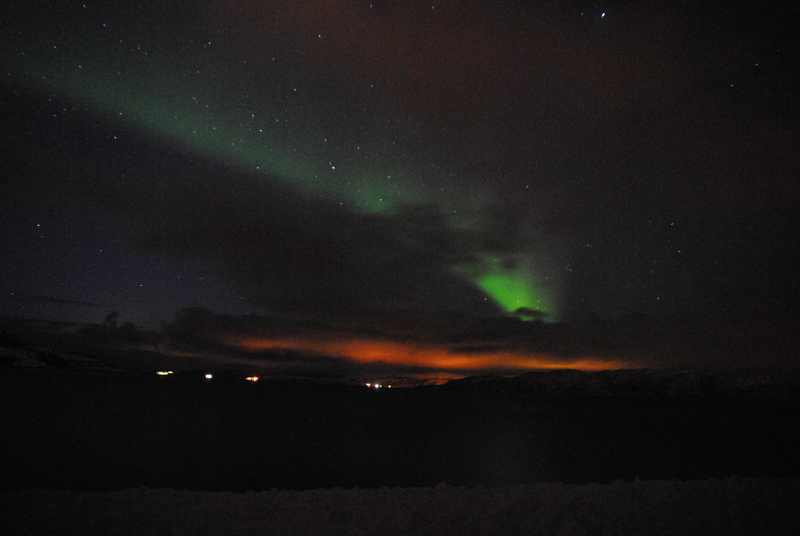 There is no guarantee that you will be lucky and see the spectacular light show, it depends on the intensity of the solar storm, and off course a clear sky. No sight, no light! The guide had thoroughly checked the weather forecast for different places in the area, and had a few options where to go. It was time to get on the bus and let the chase begin! Patience is an important keyword. We tried a few places and saw some lights, but we continued to be able to see the real deal. The waiting finally paid off. 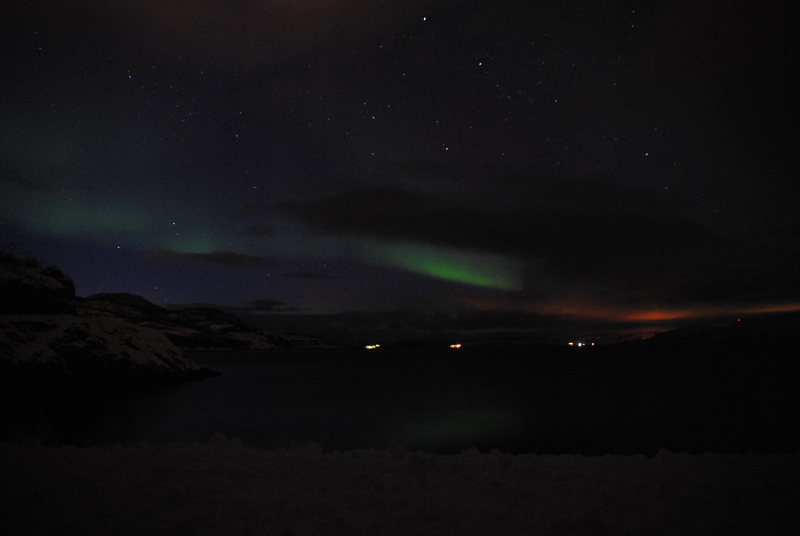 On a dark side way just by the fjord, only lit by the stars, the light suddenly appeared. I must admit that I had always pictured it to be more intense and the colours more bright, but apparently, the eyes are not able to register the colours that good. The camera on the other hand, was. 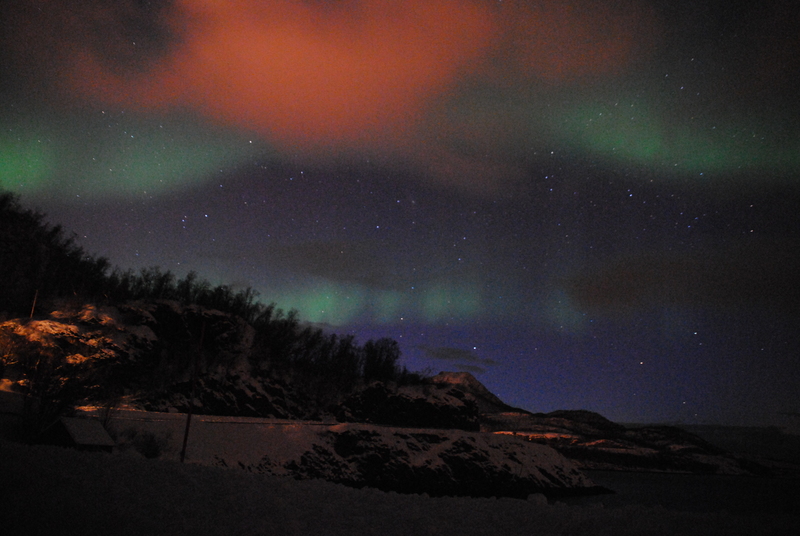 By adjusting the aperture to the maximum (f3,5 on my camera) and shutter speed at least 15’’, the colours came out. What are you waiting for? Go chase! That was so nice. Thank you! Oh my goodness. How lovely. I like that you have amazing photos and share interesting facts about the things you’ve done. 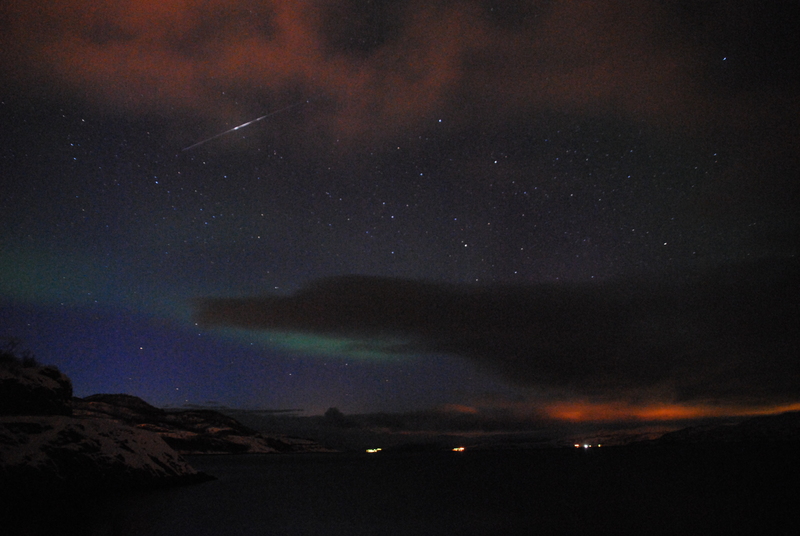 Now I think that I will see the Northern Lights from Norway instead of anywhere else I was thinking. Goodness, this is way too pretty. It is still an amazing phenomenon.